Works on Windows 8.1. Haven't had time to give it a good workout but I did compile a program or two. I wanted to thank you for your work on this! 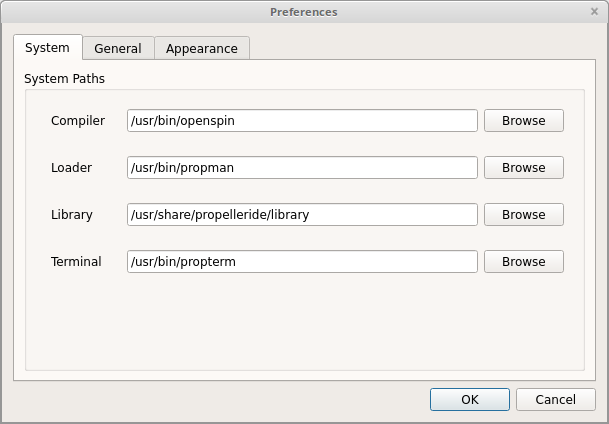 It's nice to have a new IDE with better support for Spin. Nice replies. Very informative, thanks. I'm looking forward to release 0.40. PS: I'm wary of integrating with Ubuntu 14.10 packages so I'm going to leave it for now. LameStation, the game console parents want their kids to play! Sounds good. Thanks for trying it out. I appreciate the feedback. Your comments are what keep me motivated. One thing though: Could you automatically check if the user is in the group "dialout" and warn if he is not? Or better - check the group of the device in /dev/, and warn if the user is not in that group. Because it'll be 'dialout' in some distros and some other group in other distros. And some distros, or setups, will instead have the device set up as root.root but with world writable access, and in that case the user does not need to be in the group (and should of course not be in the root group in any case). I like this idea. At some point, I could probably go a step further and PropellerIDE could itself request to make the permission change for you. 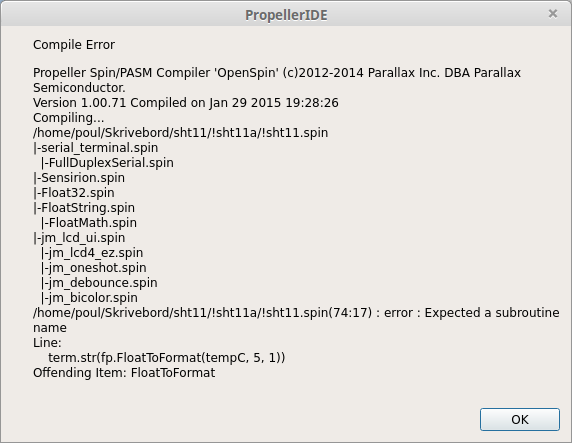 Propeller IDE 0.30.0 for Windows 7, when I do a 'RUN', I get an error: "Could not start ...\p1load.exe". 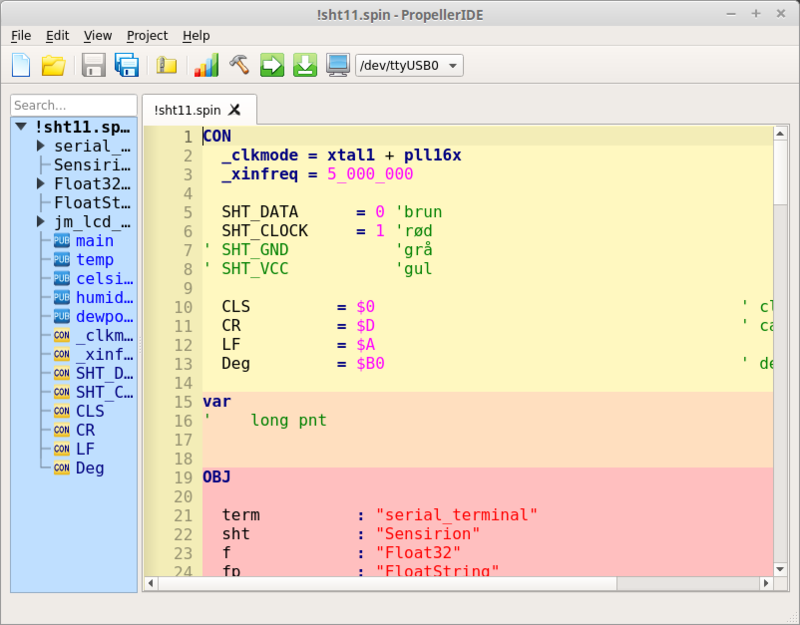 I checked the PropellerIDE folder, and I did not find any file that is labeled p1load.exe. Am I supposed to download that from someplace else? p1load.exe has been replaced with propman.exe, so if you have a previous installation, you will have to change the loader path to propman.exe. Yes, that was an interesting post. I just uninstalled Propeller IDE for Windows, downloaded and installed the latest version of Propeller IDE for Windows, did a 'RUN', and still get the error: "Could not start ...\p1load.exe". So, is the old version of Propeller IDE for Windows install leaving some files behind after a Windows uninstall is being done? If so, do I have to re-format my hard drive now :-)? Well I have a little problem. 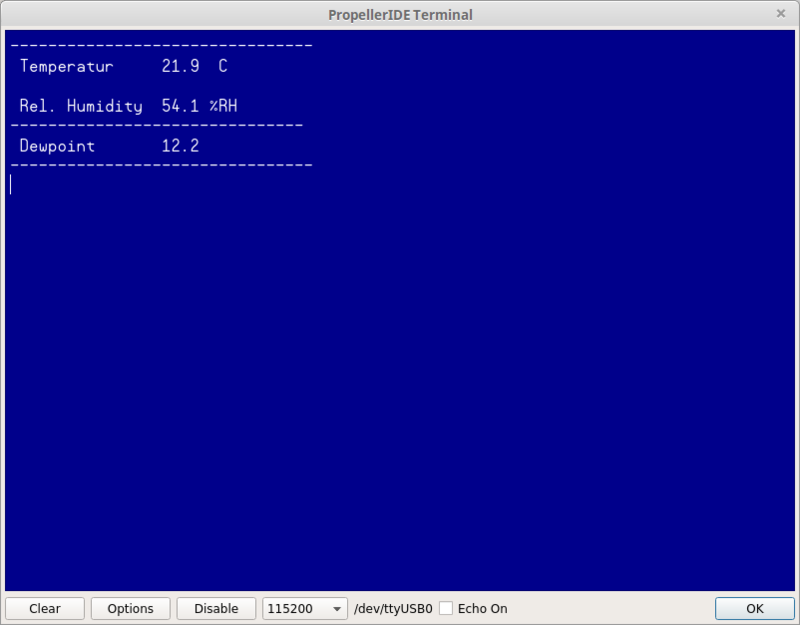 When I use version 0.25, my project compiles to 9028 bytes, and all look allright. When I use version 0.30, my project compiles to 9024 bytes, and will not work satisfying. It is a test of a sht11, temp and humidity. In both versions I have to exchange FloatString.spin. because, I use a function, that is not in the install. It is on ubuntu 15.04 and on mint 17.1 that it happens. On mint 17.1, when I open the terminal, it start up in ttyS4, even it says USB0. 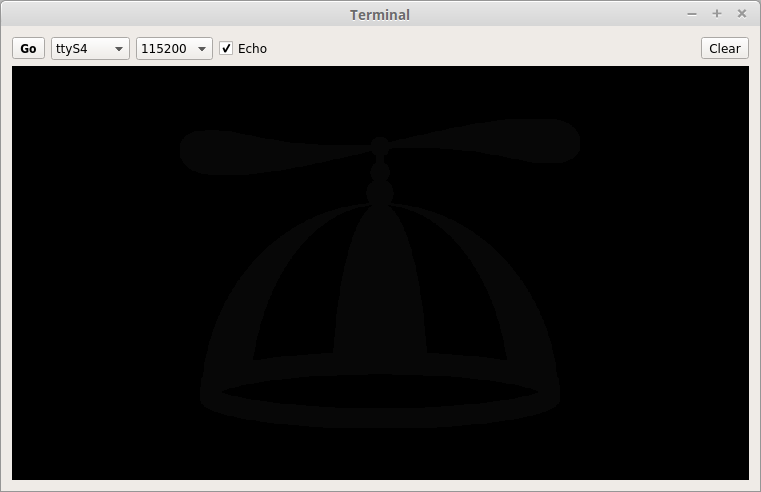 I prefer how the terminal works in version 0.25. Version 0.30.0. Looks great! Same shortcuts as in original Propeller tools. Terminal and classic themes looks great. Fantastic! I definitely will test after an hour for my latest project. Sugesstion (idea what came today): Is it possible to launch custom script (shell command) on specific events. For example On SPIN file open, save, colse. IDE open, close. Probably could be usefull for automation. For example: I am opening PropellerIDE and script automatically sync my source code with internet (download from Github or similar), network drive/USB etc. The same on save. when saving or closing latest source automatically will sync. This is simple with console tools. 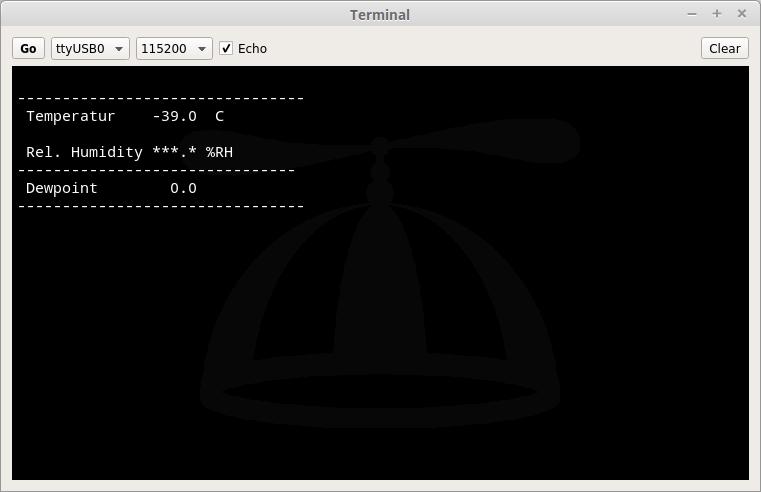 It would be great that PropellerIDE automatically can call right shell script. I just noticed that, on the Windows version, as I am working on a program, when I do a 'RUN', then when I make a change to my program, a new file gets opened up. At one point I kept doing what I was doing and I noticed there were six new tabs with the same file name. Is there a setting in preferences to turn that off? 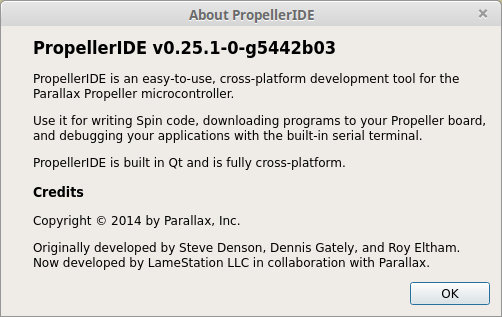 Man I am starting get some really strange behavior with Propeller IDE. For the heck of it I created a program using the code from the manual to blink an LED using PASM, and it does not work as expected, the LED on the QS just stays on. 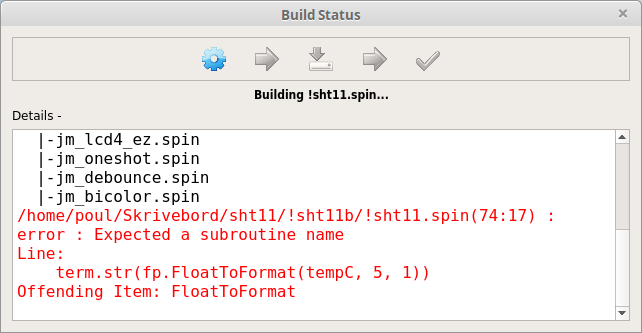 Now the problem is that even the use of Spin in SimpleIDE is messed up, it keeps coming up with an error: "Blank Simple Project was not found." So, I have to go back to the Propeller Tool for the duration? 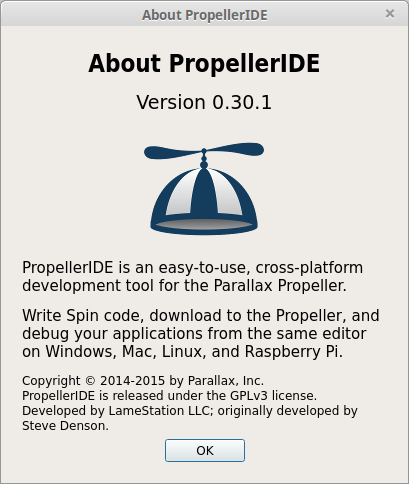 I have not tried v0.30.0 but I can say PropellerIDE 0.30.1 works on Windows and I finally got PropellerIDE 0.30.1 to start for the Raspberry Pi 2.
program to load to the Propeller. I tested version 0.30.1 on windows 7. - If an error occurs during compilation (F8, F9), a new tab is opened every time, instead of displaying the error in the open tab. - When you press the enter key after a comment at the end of a line, a new comment line is generated. To write new code you have to hit backspace until you are at the beginning of the line. - In DAT-Section: Bytes between strings are colored like a string e.g. TESTDAT BYTE $0D,$0A,"String",$0D,$0A,"String",0"
- Code suggestion/auto-completion do not work!? e.g. with pressing the point after the object name only a empty box appears. - Save as at a new file opens the file dialog in programmfolder on one computer, system32 at an other computer instead the last used folder. - A doubleclick on a spin-file opens it in a new PropellerIDE with all the opened tabs of the already opened PropellerIDE instead in a new tab only or a PropellerIDE with only this file. And it would be nice, if you could select another installation path (not in program files) or at least a different folder for the libraries. A second library path would also be a possibility. Editing files in the programmfolder of Windows 7 is not good idea. These files are then saved in some virtual folder.